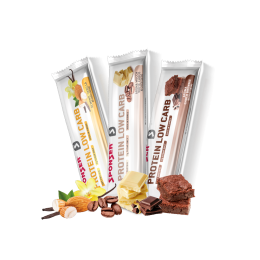 SPONSER®’s PROTEIN LOW CARB bar is a tasty way to complement your low-carb high-protein diet. The bars make great filling snacks before and after sports as they supply the body with important proteins required for maintaining and developing muscles. Available in 3 new flavours with more than 30% protein, dietary fibre and only 2 g of sugar per bar. 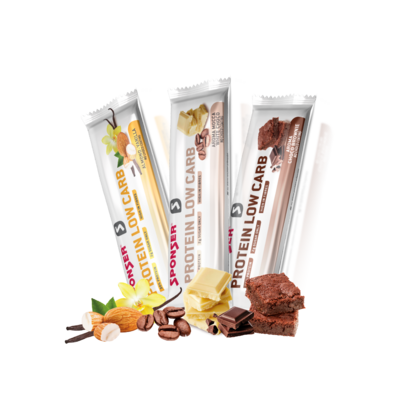 PROTEIN LOW CARB bars are glutenfree and contain no artificial colours or preservatives. For further information & purchase please click/select the product in the slider below.